Porsche Automobil Holding SE (commonly known as Porsche) is a German automobile manufacturer that aimed in developing the best car in the world. In the course of their demand observation, they noticed what kind of car most people wanted to have. They evaluated that most people wanted to have a car that is not only has a high quality performance, aesthetic features, but also has safety attributes. Posted in Uncategorized on December 21, 2013 by Waddy. 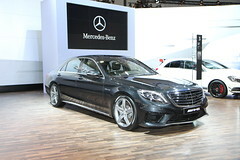 What made luxury cars famous than the standard cars aside from its features is the safety it can give. Most luxury cars are built with several safety features to help the car owners reduce the risk of incurring an injury during an accident. 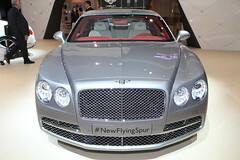 One of the luxury car makers is Bentley Motors Limited. A vehicle should not only be good to look at, but also satisfying and safe to use. BMW noticed this vehicle trend that is why they have developed and released the BMW Alpina B7. BMW is one of the “German Big 3” luxury automakers together with Mercedes Benz and Audi. BMW keeps on developing new luxury cars that are not only beautiful, but also safe at the same time. The recent product of their innovation is the Alpina B7. Posted in Uncategorized on May 15, 2017 by Waddy. A research was conducted by the AAA Foundation for Traffic Safety with regards to teen driving and their practices. Aptly known as Distracted Driving Among Newly Licensed Teen Driver. In this specific research, a video recorder was installed within the vehicle in order to keep an eye on and determine the cause of possible accidents where teen drivers are involved. It is considered that the major reason of teenager deaths today is due to auto accidents. Posted in personal injury on March 12, 2017 by Waddy. Posted in Uncategorized on December 15, 2016 by Waddy.